Elijah Wood wears black low cut Converse “Chuck Taylor” All Stars in the film. Ten-year-old Will Young spends the summer with estranged couple Ben and Lily Reed. Ten-year-old Willard Young (Elijah Woods) has a number of issues to grapple with in his life. His mother Rosemary (Eve Gordon) is pregnant and expecting another child shortly, he hasn’t seen his father in several months, and he doesn’t have any friends that he can relate to or just hang out with. Will is very bright, attending a toney private school on a scholarship. But that separates him from the mostly rich kids that are his classmates, and it separates him from the other kids in his rundown, working class neighborhood, who want to bully him when they see him wearing the coat and tie uniform required at his school. Eve has problems of her own. In reality her marriage has broken up, but she doesn’t know how to tell this to Will. She shows him letters from his father, but Will is never around when his father supposedly calls on the telephone. Plus she must deal with the final months of her pregnancy. Her solution is to take Will from the city where they live to a small coastal town in the Delta. Her best friend from school, Lily Reed (Melanie Griffith) has agreed to have Will spend the summer with her and her husband, Ben (Don Johnson). The two of them take the long bus ride south. Willard meets Billie for the first time. When Will and Eve arrive in Paradise, there is no one there to greet them. After Will steps inside a nearby cafe to ask for directions, we are introduced to Ben and Sally Pike (Sheila McCarthy), who is the waitress at the cafe. Ben doesn’t even identify himself, tells Will to be careful of the Reeds, before giving directions to the house. Will and his mother lug their suitcases to the Reed house where they are greeted by Lily. Later, Will is quite surprised when Ben pulls up in the driveway, and finally introduces himself. Will is quite unsure about the summer, especially after his mother leaves to return home. 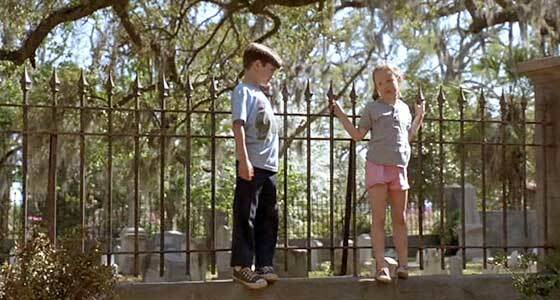 Then Will meets Billie Pike (Thora Birch), a precocious and outspoken nine-year-old living nearby. At first Will is stand-offish, but kids will be kids, and when Billie persists in getting to know him, they soon become friends, and have typical summertime fun together. The friendship that they develop over the summer is good for both of them, even when they have disagreements or spats. Will also begins to make friends with Ben and Lily, who have a troubled marriage. 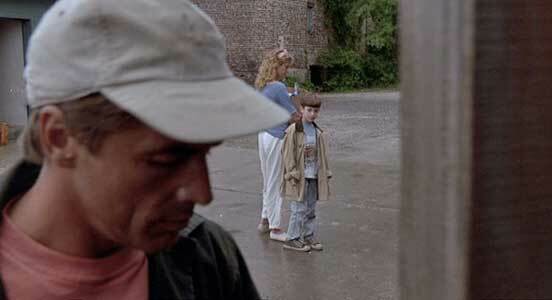 Early on, Will learns part of the reason for this; they had a son who died at the age of three. The presence of Will becomes good therapy for Ben and Lily. He helps Lily around the house and garden, and goes on a shrimp run with Ben. Ben gives Will his remote controlled model airplane and they play poker. The two warm up to Will, although not to each other. Will and Billie become best friends and have good times together. As the summer goes on, Will learns that Billie has father issues of her own. Billie and her older sister were born out of wedlock. Billie’s father even refuses to acknowledge her existence. Billie’s mother is planning to get married, but to a man she doesn’t really love and Billie detests. Billie angrily makes this point at her mother’s birthday party when she announces her engagement. Eventually Will discovers the truth about his own father. Feeling hurt and deceived, he runs away, forcing Ben and Lily to act as parents, and search for him. They realize that they care for him, and have a love for him. That simple truth becomes a catalyst in their own relationship. At last, Lily can begin to heal and move on from the terrible guilt she has experienced since the death of their own son. Will mulls over the problems in his life. Paradise represents one of the first major film appearances by both Elijah Wood and Thora Birch. The two of them are at their best when they are just being kids, acting naturally and not reading lines. It is clear that they both can command the big screen, although they do it in different ways. Thora Birch’s character Billie does it by being outspoken and precocious. 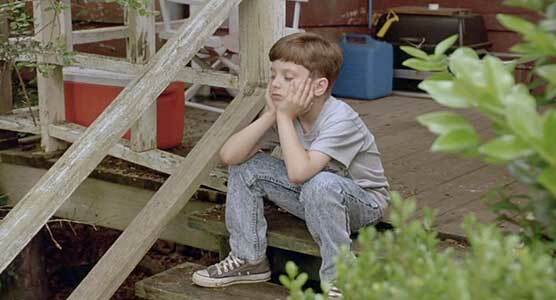 Elijah Woods’ character Willard does it by shedding his aloofness and allowing his natural charm to emerge, building lasting friendships with the Reeds and Billie in the process. The plot for Paradise is based on a previously produced French film, Le Grand Chemin, by writer and director Mary Agnes Donoghue. The film is at is best when it stays away from the somewhat contrived script — both kids have father abandonment issues that are used at the climax point of the film. Melanie Griffith and Don Johnson’s performances as the estranged couple are understated, but that is a good thing in this film, and tends to make the story ring truer than if their issues were handled in a more overblown way. Paradise is much more of a coming of age film for the two kids anyway, although under the Hollywood system they don’t get the top billing they deserve. Overall, the film delivers a pleasant and important message that despite personal problems or tragedies, you can rebuild your life with other people if you take the time to reach out to them. 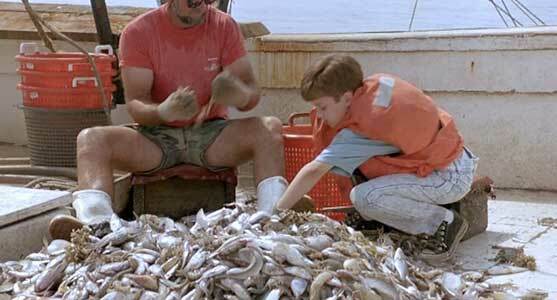 Will helps sort through the catch on Ben’s shrimp boat. Will goes to get the box of letters kept under the bed. Elijah Wood likes wearing chucks on and off the screen, especially in his younger days. In this film, he wears black low cut chucks throughout most of the film, the times when he is just being a regular kid, which are the best parts of the film. The cinemaphotography is chucks friendly. 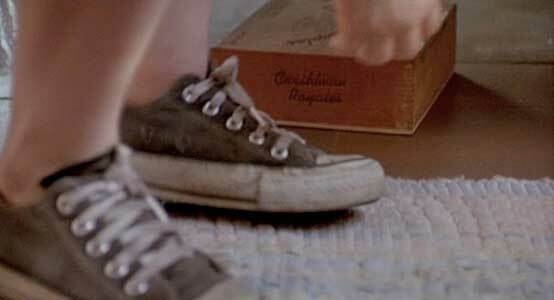 In a couple of scenes, closeups of his chucks are used to choreograph important moments in the story line. Will sits on his bed to read the letters as the camera focuses on his well worn chucks. One of those scenes is when Will realizes that the letters from his father don’t ring true. The camera focuses on his chucks as he gets out the box of letters and then sits on the bed to review them. Another scene is when Will dares himself to walk on the ledge of the very high obvervation tower overlooking the delta. Will walks on the ledge of the observation tower. Paradise. (1991) Melanie Griffith, Don Johnson, Elijah Wood, Thora Birch, Sheila McCarthy, Eve Gordon, Louise Latham. Directed by Mary Agnes Donoghue. Categories: Drama, Coming of Age.